Work for Macaw Agency Management System? Learning about Macaw Agency Management System? That this is an all in one solution to all of the different processes. Macaw allows both internal and external users to be able to service accounts performing any function required on a policy. Being able to manage customers as well as offer products from the same system was one of the driving factors in using the system. The NEST team is very responsive and straightforward to work with. For any considering using Macaw i would recommend building out complete business cases with every variation and detail possible. This will allow NEST to properly plan and build the solution required. Moving all of the system to the cloud allows for easy remote access. We have been able bring some customers into the system to fully service their own policy. We are looking to have a majority of our policies to be self servicing and not require communications with the customer service teams. 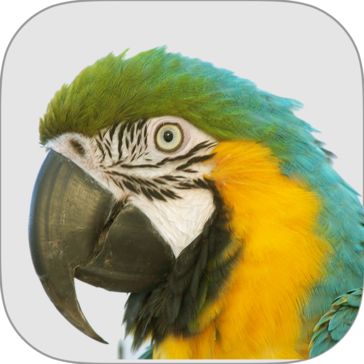 Macaw has allowed a big step in that direction. I like how easy the quoting process is. I can be on the phone with a client and walk through it in minutes, get their price to them, send the proposal link and bind it right there. I do wish the proposal generation was better and the esign was a little clearer. Some of our clients aren't so tech savy, so a little more user friendly with clear language would be nice. There are several user functionality issues and it is difficult for our clients to understand the payment/binding process. It almost seems like when one thing is resolved in Macaw, then another issue arises. There is something wrong every day it seems and it makes my job difficult. Make sure it isn't prematurely released. The benefits I can see is now everything is in one place, versus multiple systems. It makes it easier to Navigate. I wish there were more key information that is pertinent to me on the general overview screen so I didn't have to click around so much. It would be nice for the customer to understand how certain things work without me explaining the system. More user friendly. The functionality of the system and how it has streamlined the quoting process. Giving the customer the ability to self service is also a nice benefit of the system. The lag time the last few weeks due to some system upgrades and reports has been a minor issue. The duplication of quotes in the system is also an issue. If there is a way to prevent the creation of duplicate quotes that would be a nice change. For CRES Macaw has provided us a way to streamline new business request and manage renewals. It has also allowed us to give the clients more ability to manage from their end. There's potential for a lot of amazing things. The system does bring a lot of functionality that works across multiple user interfaces. Being able to include all the functions we need is important. It's still so far from being everything it should be and we're definitely going through growing pains we thought would have subsided by now. I really thought the biggest benefit of working with Nest was the ability to have a true partnership - they know their capabilities & the best way to approach things. We've gotten better at the pushback, but for awhile they seemed to just go with what we asked for instead of pushing back with better solutions. The initial specifications need to be incredibly clear. Then test, test, test...make sure that everything works up to your standards before rolling out the release. Once we released the version we thought was nearly done, more issues came to light that we hadn't caught. Over test since that's always a possibility. The reports are getting us that data that we need, mostly - looking forward to having the past data from LISA looped in as well, but I know that wasn't a Macaw issue, that was poor planning on our end. The macaw system is so simple and easy to use and it helps me in my everyday business life when I need to talk to my supervisor or help other agents I n our call center its very useful. When I first started my business macaw was a great tool I used to communicate and learn when I needs some help sure is very useful! Use it in need of support when on job very useful communication tool very useful when first starting with a new business and need to become more familiar. I can easily get an answer for something I don't know when I use this platform to communicate with my manager or others that may need assistance it benefits me in knowledge and support that is always there. Having access and use of all information in one system from anywhere. Being able to sort through all customers. Customers being able to purchase and connect to our system. I think we converted over systems prior to realizing the amount of building that would still need to be done for sufficient use. It has been frustrating and time consuming when the system has so many bugs and fixes that need to be addressed. I understand growing pains but it has taken away from the focus of the sale. Growing pains. I guess this could be on our end of expectations and results but I wasn't involved in the specs. We are a distributed workforce so this allows access for all parties, all over, at most times. I see potential in future use as it becomes more customer friendly and built customized fully. I like the idea that everything is in the same place. The idea of the software is great, but we went live way before it was ready to go. If another company wanted to the software, I'd suggest they test for a much longer period of time and run a side by side to insure correct data. I don't think that was Nest's fault that one of our executives pushed a go live before it was ready. It doesn't actually work that well. I can't do things I need to do in the system accounting wise. The reporting often has bugs. Some of the automatic receipts are incorrect. I like that all of our content is included in one location and we are able to quote through one system. I dislike the downtime in the mornings. The system isn't working and I start early. I also don't like the amount of time it takes to process from page to page. It really slows me down. If there was less time taken to process from page to page, I would be way more efficient. The major problem being solved is having one system to rely on to preform my job duties. The benefit of this is that I am able to work from anywhere I have internet, and one system avoids using a lot of bandwidth. "Better than it was, not as good as it needs to be." The fact that it is web based and we can access it from anywhere is its best feature. It's general search features are acceptable but would like a few more screening criteria added for a more efficient search. Having a CRM system is vital to our business. It is my primary function at work so it takes care of a number of my needs. 1. City should be added to the search criteria. 2. If there is a middle initial the they do not come up when we search. 3. I would like a link to the DRE from MACAW. 4. The in ability to save changed due to a duplicate. You get a phone number, an e-mail and an address and then cannot save it because of a duplicate. 5. It would be nice to be able to up upload e-mails into documents. It is 100% on the job training. One system for almost everything involved in our business. I can sometimes see what others are doing. Instead of Lisa, and Sales force there is no crossover. "Good agency management system "
Cloud based system with good stable company, self configuration ability and backed by a good support system. Initial configuration bugs and policy views are not complete or accurate in some cases. Cloud AMS allows distributed workforce. Outsourced solutions allow for no internal IT. "I use Mcaw on a daily basis. I use it for obtaining info and inputing info." At this time it is thebest and only way to obtain client info. It is not easy to access the in nfo I need. Its also not mobile friendly. Correspondance notes and limited client info. Hi Frank, could you try using from mobile again? With the new release you should be able to use it better. Regards, Nest team. "Easy to use when there aren't system issues "
Look of navigation bar on the left is clean looking, making it easy to use and find options. Document view buttons are too close together. Viewing, deleting buttons are too close together. Also difficult to tell whether docs are visible or not. Customization of reports, Storage of data/documents all in one place. "it is not bad now I'm sure you can do a lot with this but there is lack of training "
User friendly experience and reliable yields. They connect and automate the entire insurance distribution channels. There is room for improvement within the navigation portals. Doesn't give a fair advantage when it comes to competitors and their positives versus ours. The challenges faced in our insurance industry - this provided innovative solutions designed to help my company thrive. I recommend it because it is easy to use and fast. They have 24 hours of support if you ever need help. "Lot's of potential, but can be glitchy"
Macaw is letting us overhaul our antiquated management system and bring it into the 21st century. Our systems are complicated, and Macaw needs lots of testing. Our clients will be able to go online and purchase products and manage their accounts. Everything is in one system and that we have historical data all in one system. Needs to be more user friendly for employees and clients; which we are in the process of doing. We had 2 different softwares and now we have combined everything into one software. * We monitor all Macaw Agency Management System reviews to prevent fraudulent reviews and keep review quality high. We do not post reviews by company employees or direct competitors. Validated reviews require the user to submit a screenshot of the product containing their user ID, in order to verify a user is an actual user of the product. Company: Nest Innovative Solutions Pvt. Ltd.
Hi there! Are you looking to implement a solution like Macaw Agency Management System?